More than 100 students have graduated with their GED since 2001. Excel’s Adult Education Program operates year-round, Monday through Thursdays from 8:00 a.m. to 2:30 p.m. This program assists adults with basic literacy skills (ABE) as well as GED preparation. 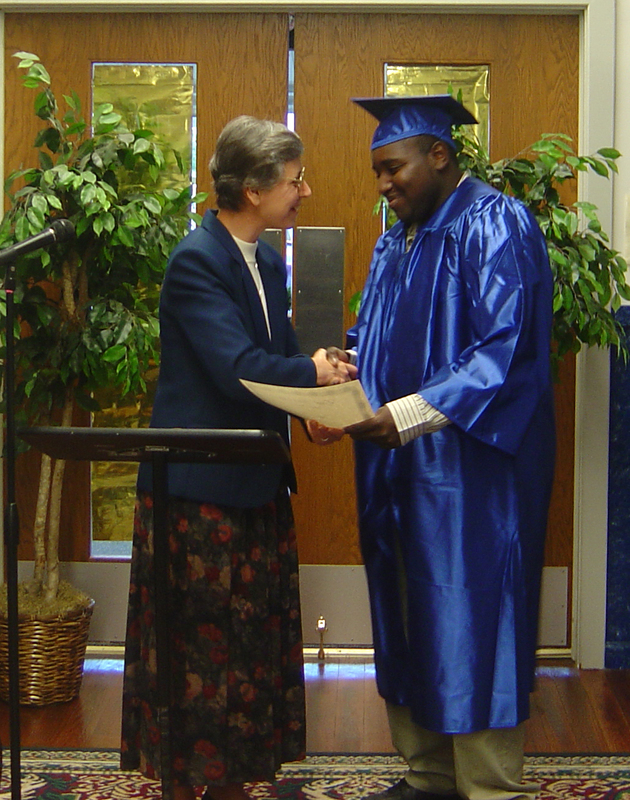 The program has helped more than 100 students get their GED since 2001. Beginning in January 2014 the new GED test will require not only additional academic skills but computer literacy as well. Gone are the days of pencil and paper testing, replaced by the GED test being available by computer use only. For our younger GED students this will not pose as much of a hardship as they have been around technology for most of their lives. For our older population of GED students, computer testing presents an additional “bump in the road” on their way to acquiring a GED. To assist in this additional requirement, the Excel GED Adult Education classroom received in December from an anonymous donor, ten laptop computers for classroom use in preparing for GED testing. These computers will allow the student to enhance or develop keyboarding skills to make the necessary transition to computerized GED testing in January 2014. Current and future Excel students appreciate this generous gift to our program. The test will now be administered by a for-profit agency and therefore the cost of taking the test will rise from $75 to $125. Excel is seeking matching funds to assist students who have difficulty paying for the GED test. Contact us for more information on the programs.